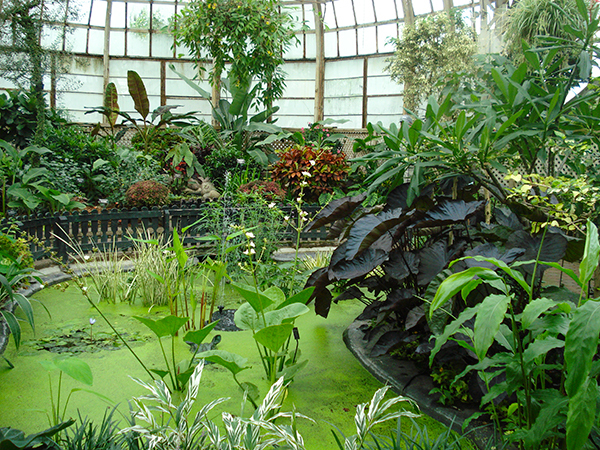 This Victorian conservatory and its surrounding fourteen-acre gardens lie to the north and west of the zoo within Lincoln Park. 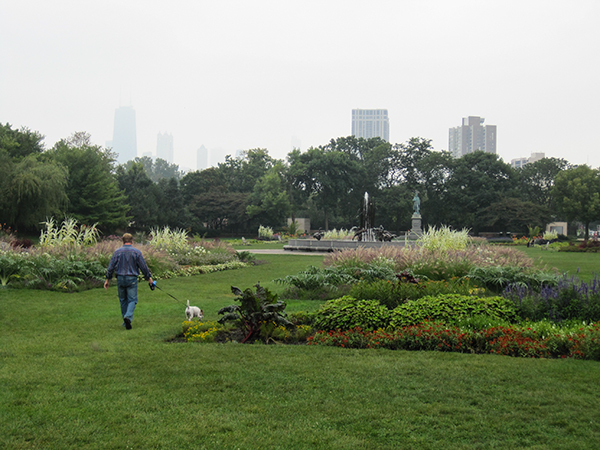 The grounds were originally designed by Swain Nelson and Olaf Benson in the 1860s and 1870s.vii Between 1890 and 1895, the Lincoln Park Commission replaced an existing greenhouse with a larger structure designed by Joseph Lyman Silsbee with M.E. Bell. Comprising ornate panes of glass supported by a steel superstructure atop a rusticated granite base, the conservatory eventually came to include separate rooms for palms, orchids, and ferns. 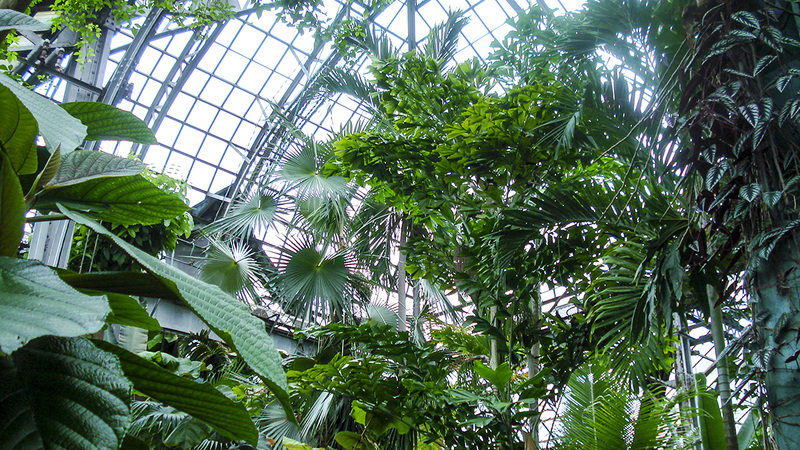 The conservatory is enwrapped by a garden composed of over 150 coniferous trees and shrubs. 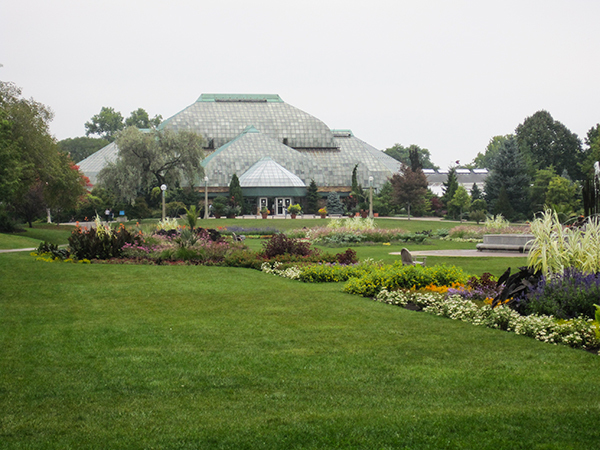 The conservatory’s primary entrance faces south, opening to an expanse of lawn ornamented with geometric flower beds. The lawn is framed by walks and contains, on axis with the conservatory entrance, the Eli Bates Fountain, installed in 1887 and, further south, the Johann Christoph Friedrich Von Schiller Monument, installed in 1886. 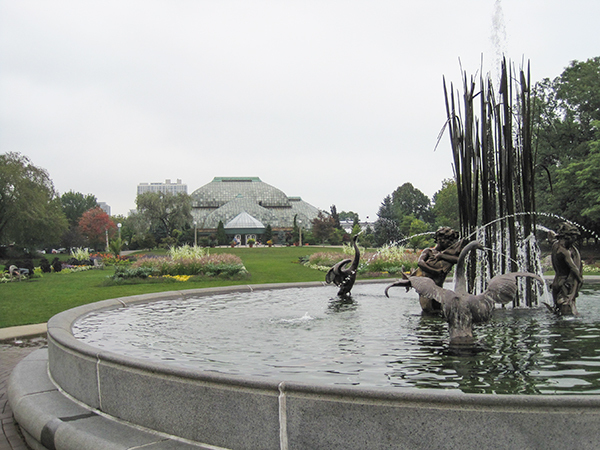 The former—with sculptures of storks, reeds, boys, and fish frolicking in a pool—was designed by Augustus Saint-Gaudens and Frederick William MacMonnies in a basin by McKim, Mead & White. 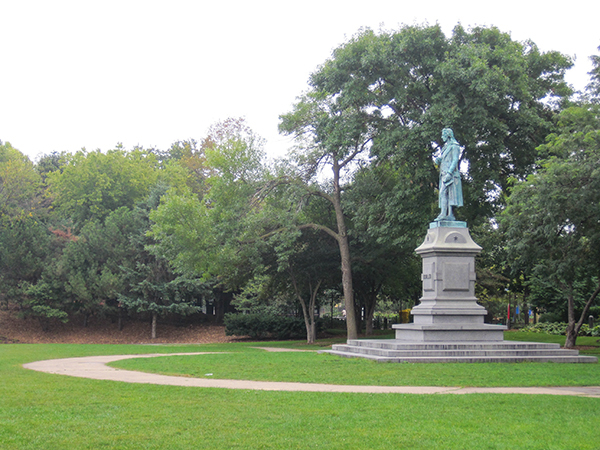 The Von Schiller Monument, a replica produced by William Pelargus, is surrounded by a circular path that branches easterly to the Lincoln Park Zoo. The Grandmother’s Garden (sometimes called the Old English Garden), comprising a central lawn and curvilinear planted areas filled with layers of perennials, forms the western edge of the conservatory gardens. 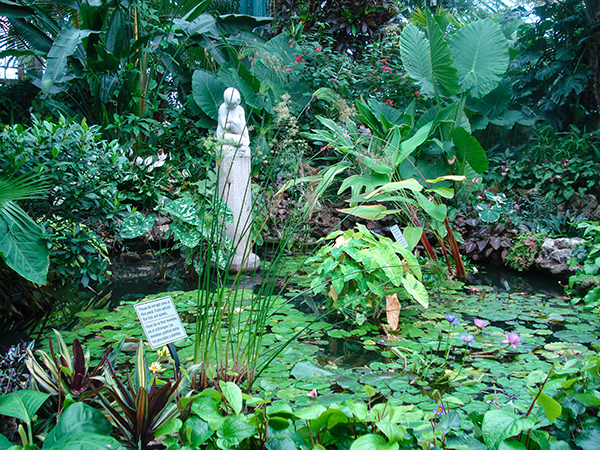 To the northwest of the conservatory lies Alfred Caldwell’s Lily Pool. 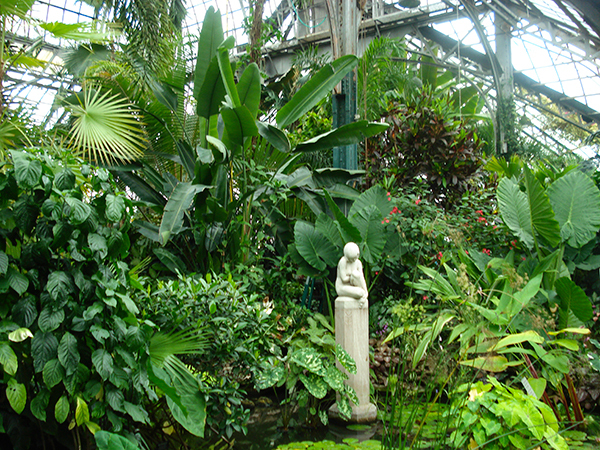 The conservatory and its gardens are contributing features of Lincoln Park, listed in the National Register of Historic Places in 1994.